Oh, How Pinteresting! You Can Now Search Your Own Pins! While reading tons of emails, Pinterest newsletter caught my attention. 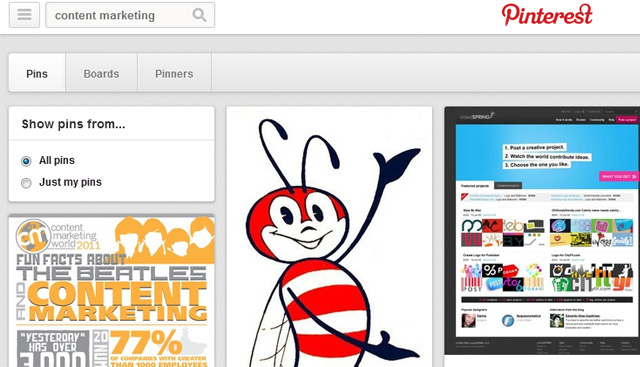 Since I love reading updates of online tools or applications I am using, I opened the Pinterest newsletter. The content of the newsletter is about the announcement they just released. You can now search for you own pins which make it easier to dig the old stuff you’ve pinned. Try to type a word into the search bar. In this case, I am looking for content marketing. Click the search button and tada two filter options showed – All pins and Just my pins. Try to click Just my pins, it will show you the old pin together with the description and keywords. 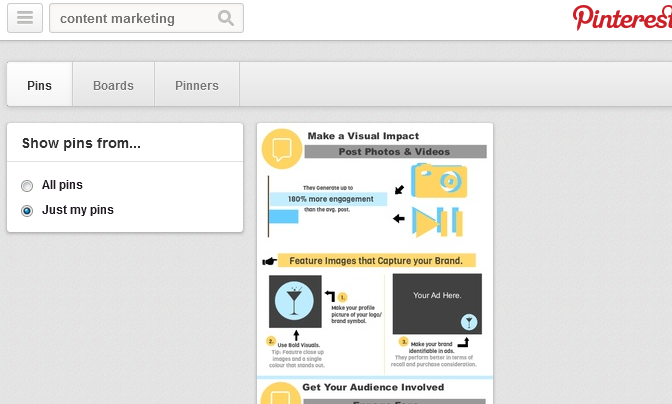 To easily find that pin again, add the keywords or description you’ve included. This is a great way if you’re looking for a recipe, how-to instructions, “DIY”, or even the products of your favourite e-Commerce sites. This update is now rolled out to your account on web but not on mobile yet. Have a little play around on this new feature and let me know how it goes.